"thanks ryan for working with me get into this jeep, your awesome!" 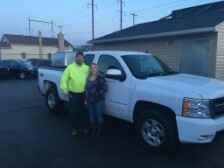 "Thank you Ryan for helping us get this truck for our business." 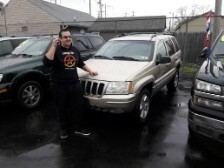 "this is perfect for my commute"
"Thank you my friend, your the best"
"Yo man, this is perfect for my business"
"thanks so much my friend"
"you guys helped me out so much"
"this jeep rocks! thanks Ryan!" " this truck is perfect for my company and the snow plow is a plus thanks!" "this car is amazing..thank you!!" "after driving 4 hours from Stafford VA, you guys finally helped me get into this car...thank you so much!!!" "this jeep rocks! you guys are awesome"
"Thanks guys my wife will love it"
"thanks Ryan for hooking me up"
"Thanks Mike, my wife will love this new car!" 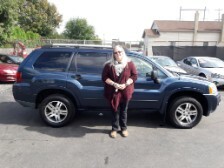 "Thank you Ryan and Mike for getting me the perfect SUV!!! "thanks ryan for my dream car"
"thanks for getting me into this car with little money down"
"Ryan and Mike were great to work with. I applied for credit online at night after their closing hours and heard from Ryan the very next morning with pre-approval. He new what I was looking for when I came to check out the cars. He was not pushy and let me browse at my leisure and was there to answer any and all questions we had. The car I decided on needed a battery and they replaced with a brand new one. There was a slight issue with the radio and Mike went out and purchase a brand new one for the car. These guys were so friendly and helpful that I would definitely recommend to friends and family. And if ever in the market for another car this would be the first place I went. Thank you guys!!!" 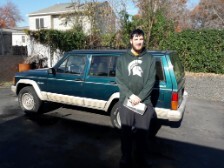 "best jeep in town, thanks"
"you know how I roll"
"thanks guys for helping us"
"Thanks for everything, God Bless Ryan"
"i did it again hahaa thanks guys"
"yo man thanks for helping me i will def be sending customers to you"
"Thank guys for helping me out with a ride"
"Thank you guys for helping me get the right vehicle that fit my budget!" "Ryan, told you i was gonna come pay cash hahah"
"Thank you Ryan for getting me the lowest monthly payment possible!!" 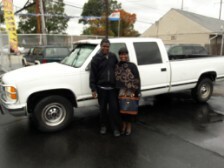 "Thank you Ryan for meeting our needs and getting us this truck for our property!" "Hey guys, thanks for everything you have done for me, I will recommend you to all my friends"
"Thank you Ryan for the low monthly payment"
"ryan thank you very much"
"Ryan your the man! thank you!" 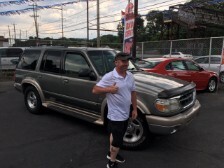 "Thanks for getting us into the truck of our dreams! You guys are great!" "Thanks Ryan for getting me into my truck!" 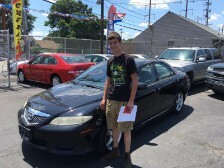 "You guys are great and helped me get the car I wanted! Thanks Ryan!" 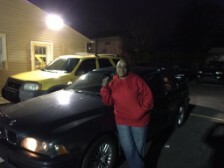 "I purchased my first car from Checker Flag Auto and they were able to get me the right price with what I could afford! 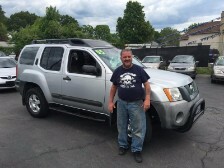 if your looking for a great running vehicle, go to Checker Flag Auto! They are the BEST!" 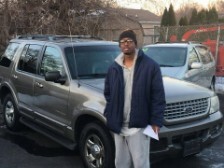 "Ryan at Checker Flag Auto helped me get approved on my new truck when everyone else turned me down! These guys are awesome, and can help you get into a car or truck too regardless of your credit history. 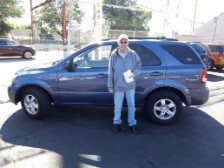 They have warranties available on their cars, and fully recondition all of their cars."